Boeing Employee Credit Union (BECU) is a not-for-profit financial cooperative with over 925,000 members that was founded in 1935 in Tukwila, Washington. BECU offers one Visa credit card option for consumers with multiple design options. The member-owned company does not charge annual fees, foreign transaction fees, cash advance transaction fees, or balance transfer transaction fees. Consumers can earn points for eligible everyday purchases made on the BECU Visa credit card. There are no caps on the amount of points that may be earned. Points may redeemed for cash, travel perks, gift cards, and merchandise. Other features include zero fraud liability protection, global travel accident insurance, online purchase protection, travel and emergency assistance services, automobile rental collision damage coverage, and extended warranties. Customers can also customize their credit cards with a choice of one of four available designs. BECU provides online banking services with a mobile app that gives customers 24/7 account access to view electronic statements, transfer funds, and set up automatic payments. Members can also apply for loans, manage a financial budget, and receive real-time alerts on all account activity. The online debt management services allows the member to view a complete list of all acquired debt balances along with currently charged interest rates. Members can also make online deposits using their own personal computer and scanner. Customers can also bank by telephone anytime day or night. 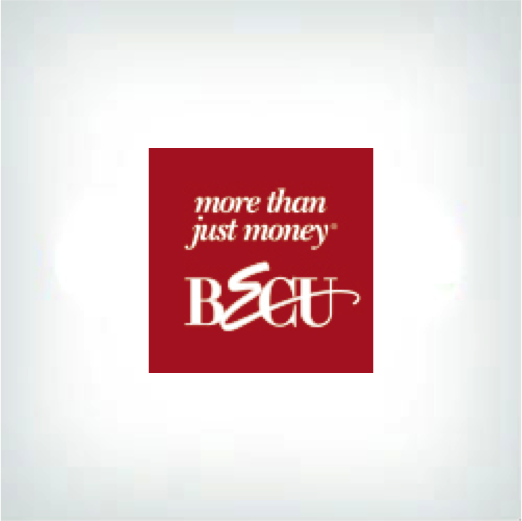 BECU offers several financial literacy programs for its customers. Members can take self paced courses or attend local seminars on a wide range of financial topics. The company offers wealth building strategy tips, estate planning, home buying, and retirement savings information in its program offerings for consumers.The company's website also features a tax center section that answers commonly asked questions and offers additional resources. The company also provides numerous articles on personal banking and maintaining good financial health. The financial services company offers its members a zero percent introductory APR on all purchases and balance transfers for the first 12 months after opening a new account. After that, BECU charges a Variable Rate APR between 7.15 percent to 18.15 percent on purchases, balance transfers, and cash advances. A 19.9 percent penalty APR is assessed if a cardholder fails twice in a period of 12 months to make scheduled payments within 29 days of the due date. The rates are a bit higher than the industry norm for those with less than perfect credit, but the company will lower the charged rates if members build up a better credit history over time. BECU charges up to $25 for late and returned payments. A $25 annual participation fee will be applied if the cardholder enrolls in the optional BECU rewards program. Additional interest charges may be assessed on monthly balances not paid in full. This will be calculated by the average daily balance of a cardholder's account. Unused points will expire after five years from the date earned. Cardholders must acquire at least 1,200 points before they can redeem for rewards. Each point only equals one cent towards the purchase price of the reward. Available reward options are limited when compared to competitor offerings, especially for frequent travelers. Customers will have to make large amounts of purchases annually in order to even make the money back on the $25 enrollment fee. Consumers must be Washington state residents in order to be eligible for credit card enrollment acceptance. BECU offers Visa credit card services for its members in Washington. Cardholders can earn unlimited points that can be redeemed for cash, merchandise, travel perks, and more. The card does not charge many of the fees typically charged by many other similar competitors such as annual fees, balance transfer fees, and foreign transaction fees. Members can manage their credit cards through 24/7 online banking services and the company also offers several other financial literacy programs as well. This card can look good upfront for frequent travelers and those seeking debt consolidation because of its lack of fees. However, the company does not offer many of the travel rewards typically offered by competitors and interest fees can be expensive if balances are not paid in full each month. Also, the BECU Rewards Program does not offer much back in earning value of its points to justify the $25 annual fee unless a cardholder makes extensive amounts of purchases on a yearly basis. Consumers must have excellent credit and be able to pay balances in full each month in order to avoid high APRs and other additional fees.